In today’s world, protecting your firearms is more important than ever which is why choosing the best biometric gun safe is so important. You want to know that your guns are secure, and there is nothing better than a biometric safe. Someone could easily get ahold of your keys and access your guns. A combination safe can be cracked or the unlock code shared. But a biometric gun safe makes sure that only the people you want to have access will be able to open the safe. We’ve reviewed the biometric safes on the market and come up with three options that are absolutely terrific. From features to construction, including biometric gun safe reviews, everything was taken into account and these are the recommended gun safes for you to choose from. 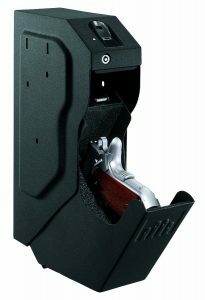 This is considered by us the best biometric gun safe on the market! The number one choice for biometric gun safes is the Gunvault SpeedVault SVB500. This is the top overall pick for several reasons. One of the best reasons to choose this safe over all of the others on the list is that it made speed a top priority. If an emergency ever happens, you might need to be armed in seconds, and that’s what this safe makes possible. Other features like the number of fingerprint records that it holds, the integrated smart technology that makes it all work and the construction of the unit that makes it all but impossible to break into without the fingerprint makes this our number one overall pick. It is a handgun safe and there isn’t room for more than one gun, but for quick access and intense security, there is nothing better. Plus, GunVault is one of the top brands in firearm security and has been in the business of biometric safes since the technology was just emerging twenty years ago. 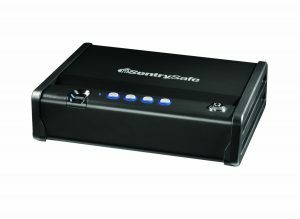 The next featured biometric gun safe is the Sentry Safe Biometric pistol safe, model # QAP1BE. This is a terrific gun safe that actually has a couple of advantages over the GunVault unit, despite being priced quite a bit lower. This gun safe has plenty of room for a pistol and an extra clip, with some terrific features that make it one of the best values for the money that we have been able to find. While this doesn’t have quite as much robustness as the GunVault safe, it has enough features that the price is somewhat surprising. Some of those features include the reliability of the safe, the size of the interior and the quiet, stealthy opening that will allow you to get your gun out without alerting an intruder in your home to your location. When you take everything into account, this is an amazing feat of technology that you will love. The BARSKA unit is our pick for the best biometric gun safe on a budget because it allows you to purchase a quality biometric safe without spending a lot of money. Of course, you aren’t going to be able to compare this biometric safe with the others on the list. They have more features, higher quality construction and a number of advantages, but if you are looking for something that you can afford on a budget, this is definitely your safe. BARSKA has a great reputation for making quality products the span the width of the security industry and this gun safe shows just how they earned that reputation. Unlike the other items on this list, this safe wasn’t specifically made to store your firearms, but you could definitely turn that into an advantage. It is easily mountable and large enough to hold quite a few different items. The price is right and the quality is terrific on this gun safe. There are several reasons why you might need a biometric gun safe. Obviously, in today’s world, you need to lock up your guns. Guns are one of the most popular items for thieves to steal, but if they are locked up inside a biometric gun safe, you’ll never have to worry about them being stolen. You also want protection that you can access instantly. That’s the main advantage of biometric gun safes. You can simply use your fingerprint and access the safe instantly. This is vital if you have someone enter your house and you need to get your gun. A combination safe takes time and nerves can make you misdial the combination. Key safes require the keys to be found first, and they are noisy besides. A biometric safe is instantly accessible – all you do is put your finger on the pad. You can’t make a mistake because your fingerprint is always the same and you don’t have to look for anything – your finger is always with you. When it comes to buying a biometric safe there are several things to keep in mind. The first thing that you should know about is the technology – it is far from perfect. There are problems with fingerprint scanning that haven’t been completely worked out. That being said, most of the time, your biometric safe will work – if you make the right choice when buying one. This is where many people go wrong and get the biometric safe that has problems with the fingerprint scanner. That’s why we have chosen these three biometric safes to recommend. They all have the technology problems worked out. The purpose behind the biometric safe is to keep out anyone who isn’t supposed to be in there – whether that is a burglar who has broken in, or your child. It can only be accessed by a fingerprint. But these biometric safes can hold multiple fingerprints and it is sometimes excessive. However, on the other hand, too few fingerprints can be a problem if you have a bunch of people you want to have access to your safe. That’s why the number of fingerprint records that the safe holds should be one of your considerations. Construction of the safe is also something that is important. While nearly every gun safe on the market is well constructed – it is a safe after all – you still need to consider things like whether it will last for many years and not weaken enough to allow someone to break in, and whether it will stand up to a great deal of use – which is especially true if you plan on accessing your guns quite a bit. Features are also something to consider. Some features certainly make a particular gun safe worth buying over others, if the feature is something you can use. For example, a safe that has an interior light that allows you to see to get your gun in the dark is extremely useful. Having a pad that is easy to access in the dark is also very useful. You also want to consider how much noise the gun safe makes. You want to have one that is fairly quiet so that if you ever do need to get out your gun in the middle of the night because you heard something suspicious, you will not become a target for opening your gun safe. Finally, take the price into consideration. You don’t want to spend more than you need to on a biometric gun safe, but make sure that what you are buying is a quality product. The GunVault SpeedVault is the overall winner when it comes to biometric gun safes. This is due to the features that it offers, the advanced technology that it contains and the overall reviews that this gun safe has acquired. The GunVault brand is solid and the construction of the safe leaves nothing to be desired. It is a feature rich, heavy-duty gun safe that offers you easy access and is priced very competitively compared to other safes of similar design. Let’s get into the full review of this particular product including a list of the benefits, pros and cons and starting with a reason to buy this particular gun safe. So, why should you go with this gun safe over all the rest that are out there? What benefits does this safe have over the others on this list? The main answer is features. The list of features on this gun safe is long and made up of things that are actually useful. For those who will get some use out of these features, paying a little more is fine. Incredibly solid construction, with perfect, precise fittings that make your safe all but impossible to access using regular hand tools. Outdoor construction made of 18-gauge steel for maximum durability and security. Foam-lined interior so that your firearms will be protected when they are in the safe to avoid scratches, dings or other damage. Gun drawer drops down when safe opens so that you can pull the gun stored there out within seconds. 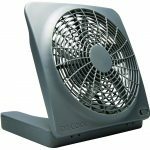 Easy to mount anywhere in your house and easy to secure to a hiding spot such as under a desk if desired. Biometric fingerprint scanner that works with an activation button. Up to 120 fingerprint patterns can be stored so you can give access to anyone you trust. Sleek, slim design that looks very stylish mounted to a desk, wall or cabinet. Interior light so that you can easily see inside or in the dark to get your gun. Lock mechanism of incredible strength for maximum security. When it comes to advantages that this gun safe has over the others on this list – or any others out there – the construction comes in pretty high. This feature is one of the most important ones when it comes to safes – and gun safes in particular. There is no way of getting into this safe unless you have the right fingerprint or somehow get access to the backup key. Also, the drawer release for quick access is a major advantage as well. As far as what you should be aware of with this safe – keep in mind that even though the biometric technology is very good on this product – the tech is inherently imperfect. 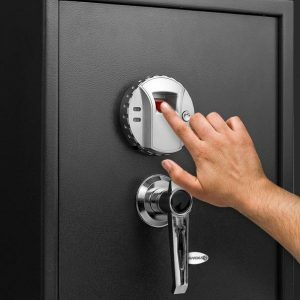 At times, it may take a couple of tries before you are able to open your safe with the fingerprint scanner. There are also a few minor details that you might want to be aware of – like the fact that the opening and closing makes a pretty loud noise, it can be difficult to mount in tight places and the LED is super bright. Also, the low battery warning requires that you push a button to see it. 83% of customers rated this gun safe as four stars or higher, with the majority of them rating it five stars. That means that there are a lot of satisfied customers out there. Most of the reviews that were lower than that concentrated on some of the minor flaws listed above but the fact is, this is still the top overall safe for your guns on the market right now. The Sentry Biometric Safe is the next item that we’re recommending and we have chosen this product as the best one of the money. What that means is that the features and value that this safe gives you is well worth it for the price. It isn’t as good as the top recommendation but it is better than the lower priced budget model. This safe has a lot of things going for it and nearly everyone who has purchased it had nothing but good things to say. The reason to buy this safe is if you don’t need as many features as our top choice offers. This is a great alternative, especially considering that is less money. This safe also has some incredible features, some that aren’t even present with the Gunvault unit. If you can live with just a single fingerprint record and the reduced security then this is a good purchase. Large enough to hold a full-sized semi-automatic pistol with several clips. Very quiet, so that you can access the safe during a break in without becoming a target. Extremely solid construction with a top lid that is impossible to pry open. Offers single handed access for when you have something in the other. Features both a combination and a fingerprint reader so that you can use either one. Can be easily mounted by the bed or elsewhere. Includes some mounting hardware. On the plus side, this gun safe is less expensive than our top unit and offers many features that you are going to like. The whisper-quiet opening and closing is a big plus, and the combination lock can be an advantage if you would prefer multiple ways to access your gun safe. This safe is also roomy with plenty of space for a gun as well as some magazines. However, there are definitely some negatives when it comes to this gun safe. First of all, it appears to only hold one biometric signature – a single fingerprint. That means that anyone else who you want to have access will have to use the keypad. In addition, the combination lock can be viewed as a disadvantage if your purpose of getting a biometric safe is to make sure that the fingerprint is the only way to access it. What customers are saying about this biometric gun safe is that it is amazing. They were happy with the biometrics and the combination lock buttons, which light up at night to allow you to enter the correct code, and they were extremely pleased with the construction and overall quality. Almost 90% of customers who purchased this product rated it at 4 stars or higher and 90% of them rated it 5 stars. This is a great safe and a product you can be comfortable purchasing. The budget safe on our list is the BARSKA biometric safe. This is a great product, brought to you by a giant in the gun safe industry. There are several features that make this worth buying and the price is just right for someone on a budget that wants to just get a basic biometric gun safe to protect their firearms. We’ll go into a full review for this product to allow you to decide if it is what you are looking for, including what customers are saying, the pros and the cons of the product, all of the features it has and much more. Let’s start with the reason you should go with this unit over the others on our list. If you want all of the features that are packed into the first two safes on this list, you might not want to choose this one. But if you just want a gun safe with a biometric scanner that actually works and is easier on your pocketbook – this is the one to go with. 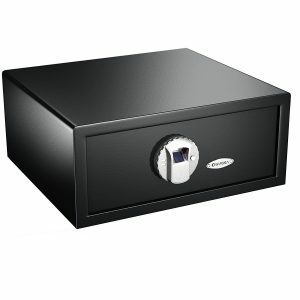 This safe is not quite as secure as the other two, but it is still extremely good value for the money. This is a solid, compact safe that is obviously built to last. Has a fingerprint pad that looks very stylish and allows you to easily get access. Includes all mounting hardware necessary. Extremely large inside, with the ability to store a gun or two, documents, magazines and much more. Includes 2 backup keys if you ever need to get into the safe in an emergency. This little gun safe has a lot going for it. First of all, it has an incredibly low price and still offers a secure, biometric access way to store your firearms. One of the biggest pluses however, is the space that it offers. This is a huge safe. While the other safes on our list were intended for a single gun, this will hold two, perhaps three, plus other items. As far as the negatives go, there are a few things that might make you want to pay a little more for the other safes on the list. First, the biometric scanner only holds 20 records. That’s more than the Sentry safe (which only seems to hold one) but nowhere near the number of records the GunVault safe holds. Plus, there just aren’t as many features. This is definitely a stripped down, very basic gun safe, but the price is just right. What customers are saying about this safe were mostly good things. 4/5 of the reviews on Amazon were 4 stars and above. This safe has more unhappy people than the other two recommendations we have made here. That doesn’t mean that you shouldn’t get it – it is still the best budget safe out. Most of the problems centered on the thickness of the metal – which is quite thin in comparison to the other safes on this list – and the fact that the biometric scanner isn’t perfect. Still, it is the best budget safe on the market and our recommendation. The thing to remember about biometric gun safes is that you want to buy for what you plan to use it for. That means that if your needs are home protection and quick access, a biometric gun safe that makes it very easy to access and pull out your gun is the most important factor to consider. If you simply want to keep your guns safe, then a biometric gun safe that holds more than just a single firearm is probably what you are looking for. So, now you have to decide which of the three gun safes is going to work best for you. It all depends upon your needs and your particular budget. Choosing the high-end model for more features and better security is a no-brainer if you have money to spare, but even the most budget conscious person might want to go with a pricier model if they need features that aren’t offered by the BARSKA safe or if the construction and metal thickness (or lack thereof) is a problem.